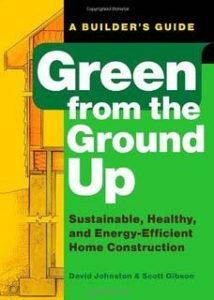 Energy is the foundation for green building. Energy codes define the minimum acceptable standards for a climate zone. In today’s world of climate change and high energy prices, it is critical that buildings use as few fossil fuels (including coal generated electricity) as possible to “futureproof” the home against unpredictable and rapidly rising prices. Homeowners, learn about the advantages of going green, We cover all the aspects literally from room to room. We show you how to approach and commence doing one room at a time. 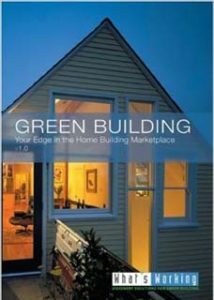 Builders can read and discover the techniques and approaches to offering “green” components of your customers. 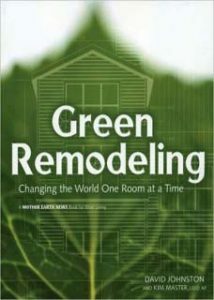 More and more homeowners are building GREEN. Whether you are a homeowner, builder or consultant. Our Knowledge base information will guide you before you ever beging your green conversion. We highly recommend our books listed above. 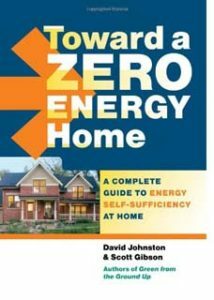 Is zero energy actually possible? Yes it is – it does require adapting a system, and doing it right from the start. Each sector of your building will need to be carefully and strategically implemented. GreenBuilding.com founder David Johnston has received many awards for his innovative pioneering leadership in green sustainable energy. See them here. Start your Green project today!